On March 23 President Xi and Premier Giuseppe Conte signed a memorandum that sealed the entry into Italy, in the heart of Western Europe, to the mega geostrategic project of the New Silk Road / OBOR (One Belt /One Road) proposed and promoted by Beijing. The Strategic move that promises to revive the age of apogee of the exchanges between Asia, Europe and even Africa, patterns happened around seven centuries ago. It is considered the Chinese Marshall Plan for the 21st century, but the characteristics of the context in which it was launched, the volume of capital involved and its ambitious scope make them incomparable. For centuries, the different paths of the ancient Silk Road connected the three continents. Asia was the most important geopolitical scenario in the world, and China was its main actor, the Chinese felt it, the name of their nation “Zhongguo” (central kingdom) reflects it. A little more than seven centuries have passed since the Venetian Marco Polo began his trip to the China of Kublai Khan and was surprised by its wonders, at that time India and China far exceeded in wealth, population, power and technology to any European state. The Chinese emperor belonged to the Yuan dynasty, of Mongol origin, of the same lineage of Genghis Khan, but the invaders were assimilated by the culture of their subjects, a lesson in history, which some should had consider when they thought that China would be Westernized, other historical analogies are also curious, the map of the Mongol empire in its heyday is very similar to the map of the SCO (Shanghai Cooperation Organization), the axis of the Russian / Chinese and Eurasian cooperation. Some of those nowadays new poles of power on the international chessboard that resurface are countries that were home to historical empires like Turkey, Iran, India, China and Russia, as heirs of that legacy, reminds us of the power of history to trace the present and the future . There will always be the question, in the form of Uchronia, to think that it would had happened with a more consolidated China in the long term, as the main Asian power and then worldwide in the past, with even greater power and influence than it had. During the Peak of Power of the Ming Dynasty in the fifteenth century, Admiral Zeng undertook his expeditions to Africa and the Pacific and Indian Ocean, with the most imposing fleet in the world at the time. Then for various reasons, sometimes external, such as failed military expeditions (such as that of Japan, under Kublai Khan) the constant threat of invasions, other internal issues, such as the tendency towards isolation, stopped China’s advance towards new frontiers and horizons. Then the power vacuum was filled by the Europeans. In the following centuries they created an Atlantic world order. The triumph in the elections of Donald Trump in 2016 marked the breakdown of an international order; one of the aspects of this new paradigm was the strict definition of China as a strategic competitor of the USA. But the Chinese have prepared themselves for that, and they feel that this is their time now. Different actions allow us to conclude that the diplomacy of “low profile and waiting for the moment” has ended. In some areas, they already surpass the USA. The symbolic weight of the Chinese project’s access to Western Europe via Italy can´t be ignored either. The Italian maritime republics played a key role in connecting the Europeans with the Far East and China, and today Italy could be the beachhead in Western Europe of the OBOR project. It has been more than seven centuries since Marco Polo’s trips to China, but now the heirs of Kublai Khan are the ones who have arrived in Europe. *Juan Martin González Cabañas is a researcher and analyst at Dossier Geopolitico, an Argentina-based think-tank offering a South American perspective on global issues. On December 24, 2018 India took over the operations of the Shahid Beheshti Port in Chabahar, Iran. The development of this port is considered as an important step for India towards increasing its economic and strategic outreach in the region. Through the Chabahar Port project, India is developing a transit corridor that would provide it with access to Afghanistan and the Central Asian region. entities in a collective manner. India’s demand for oil increased to supplement a growing economy. Delhi being unable to gain a strategic footprint in the region. has kept India away from gaining access to the regions. objectives vis-a-vis each individual relationship. *Niranjan Marjani is an Independent Researcher based in Vadodara, India. 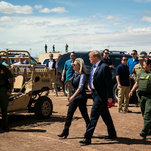 President Trump and Kirstjen Nielsen visiting the new border wall in Calexico, Calif., on Friday. Researchers are reporting new findings on how bacteria involved in gum disease can travel throughout the body, exuding toxins connected with Alzheimer’s disease, rheumatoid arthritis and aspiration pneumonia. They detected evidence of the bacteria in brain samples from people with Alzheimer’s and used mice to show that the bacterium can find its way from the mouth to the brain, Medical Xpress reports. actor involved in periodontitis, the most serious form of gum disease. scientists seek ways to better control this common bacterial infection. Experimental Biology meeting, held April 6-9 in Orlando, Fla.
the presence of its key toxins, known as gingipains. COR388, is currently in phase 1 clinical trials for Alzheimer’s disease. of interrupting their role in advancing Alzheimer’s and other diseases. pneumonia, a lung infection caused by inhaling food or saliva. five people under age 30 have low levels of the bacterium in their gums. leading to redness, swelling, bleeding and the erosion of gum tissue. through the simple act of chewing or brushing teeth. Fitton: Obama State Dept Conspiracy Against Trump? BreitbartVictoria Nuland has been linked to the notorious anti-Trump dossier fabricated by Hillary Clinton’s opposition research firm. arrested from Deoband in the Saharanpur District of Uttar Pradesh (UP). 2107. 91 of these arrests were made in 2019 (data till April 7, 2019). 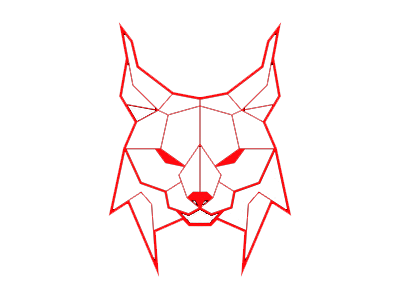 April 7, 2019). Six of these arrests were in 2018.
offenses, including 15 for murder.